I. Of the 6.16% increase in the tax base (an extra $1.2 million in revenue), 53% is due to commercial property construction. II. “Only” 59.2% of property is tax-exempt now. Of which 83.5% of that 59.2% is Cornell and its holdings. III. Building permits are lagging forecast revenue a little ($631k vs. $700k expected), but some larger projects are only getting their permits now, so it will probably balance itself out. 2. One more set of revisions for 323 Taughannock, pdf here. The differences compared to the previous revision are minor; the projecting “tower” on the southeast side has seen its windows tweaked, and the roof layout has been modified as well. This should be the last revision, since the project is up for final approval this month. 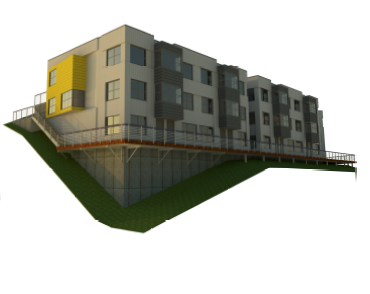 The 20-unit residential waterfront project is set to begin in January, with a six-month build-out and $3.5 million price tag. 3. 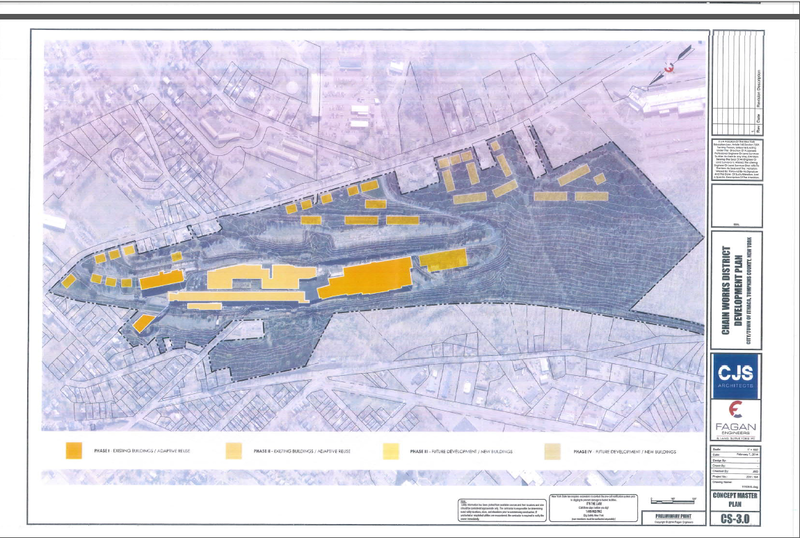 According to the IURA (Ithaca Urban Renewal Agency) meeting minutes, the city is very much interested in selling off a parcel it owns on Inlet Island, once it buys out the DEC’s property. Currently, 410-426 Taughannock Boulevard is used as a municipal parking lot. The 1.29 acre parcel was acquired for $1 by the city in May 2003. The parcel is assessed for over $300k, and that’s not including an adjacent parcel also used for parking (416 Taughannock). This is a large waterfront zoned (WF-1) piece of land, where the zoning is for one or more buildings with of 3-5 stories and nearly unrestricted lot coverage. For a developer, that means that there’s a lot of possibilities here. This would hit the market in early 2016 at the earliest, after 323 Taughannock has been built. But if 323 is successful, then I think this parcel will be highly desirable and any development on its land could potentially be quite large. 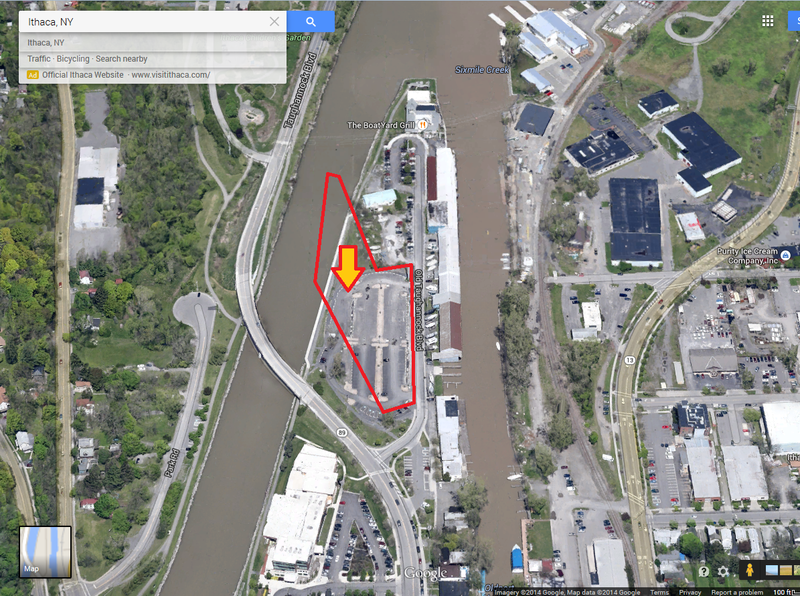 Along with the DOT site up by the Farmer’s Market, Ithaca could have quite the developed waterfront at the end of the decade. 4. Since approval in late summer of 2013, all has been quiet on the wooded and hilly site of 130 East Clinton. Frankly, given that it’s a Jason Fane project and he doesn’t usually dawdle (having significant resources allows him to secure construction loans with relative ease), I was surprised, and in private, this was a topic of debate. Well, now we know. He’s seeking tax abatements for his 36-unit market-rate project through the city’s CIITAP incentive program. As previously briefed on the Voice, CIITAP is a program that allows an abatement on a portion of property taxes for up to 7 years. The parcel needs to be in a targeted urban area, 3 stories, and receive at least $500,000 in developer investment (130 East Clinton’s projected cost is $4.5 million). The city’s meeting is the 18th, and if the city endorses the project, then chances are good the county IDA will grant the abatements. Fane’s probably the least-liked developer in town due to his colorful local history (this would also explain why I had hits to the blog the other day with the search phrase “fane like mr. potter”), but there’s no compelling reason to deny his CIITAP application. He meets the program requirements, and for Fane, this is all about the money and taking advantage of an opportunity. Presumably, if the tax breaks are approved, we could see this one begin excavation and site prep before year’s end. 5. 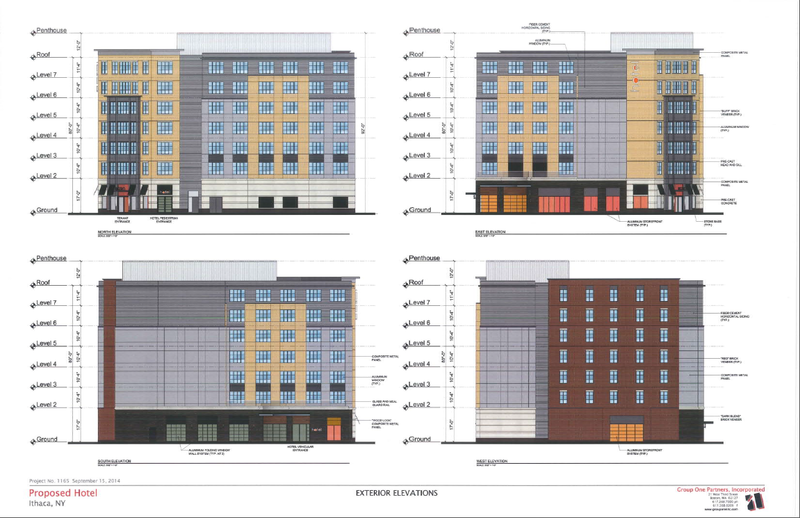 Another revision – this one the “Hampton Boutique Hotel” formerly known as the Hampton Inn downtown. A large number of major changes here – a floor has been added (bringing it to 123 rooms, 74,200 sq ft, 7 stories and 92 feet from ground to the mechanical penthouse roof), the external materials and the window layouts have been altered substantially, and of course, it’s no longer being proposed an a Hampton Inn (for comparison’s sake, the previous design is here). About the only thing that’s the same is the footprint. Part of these changes are likely the result of the Carey Building addition planned next door – the blank wall shown below faces the Carey’s rear side. 6. A lot more info about the Chain Works District proposal. For one, it will be in four phases. The first phase will consist of the redevelopment of 4 buildings on site – 21, 24, 33 and 34, which combined will create 343,510 sq ft of space, of which 18,520 sq ft will be new. 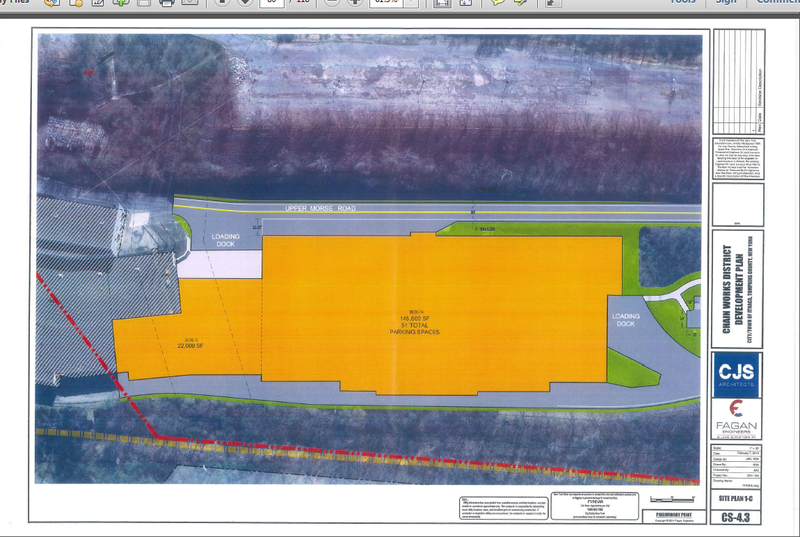 Phase one is planned as office/mixed-use (21/24) and manufacturing space (33/34). 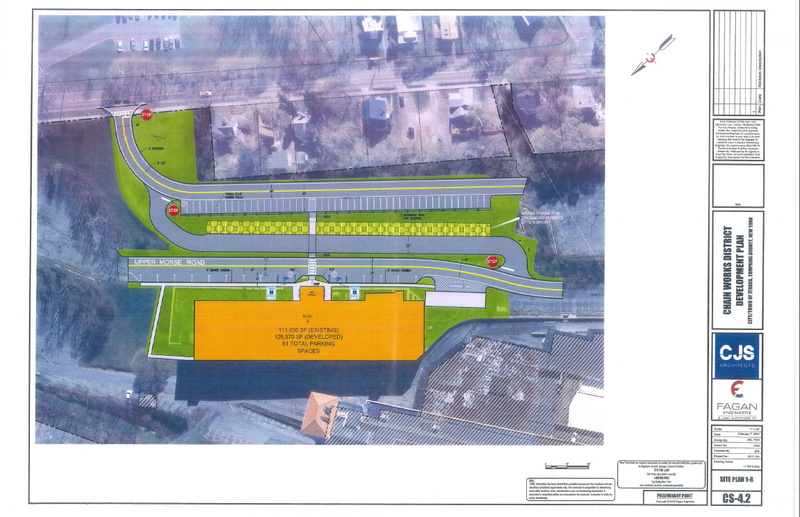 New roads and parking lots will also be developed. Phase 2 will be renovations and selected demolition of the rest of the complex, and 3 and 4 will be brand new buildings on the factory’s 95-acre land. There’s no rush, phase 4 won’t be completed until about 2030. 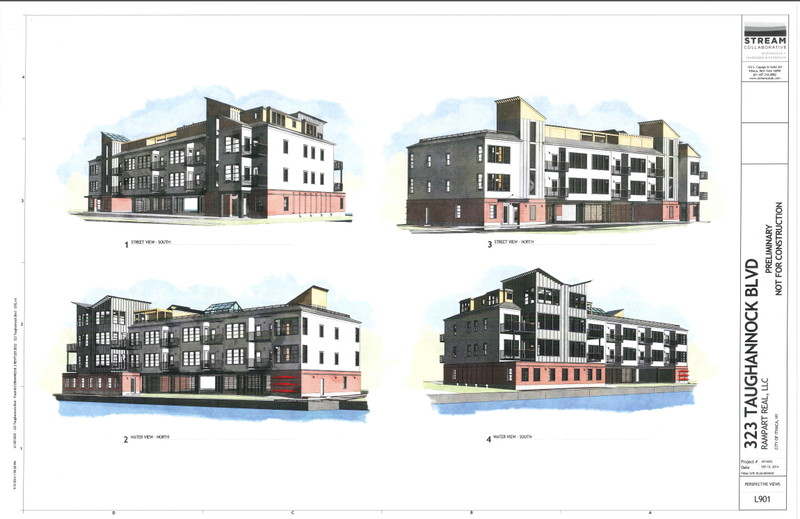 Note that the first image below is a hypothetical setup – none of those later phase site plans are set in stone. 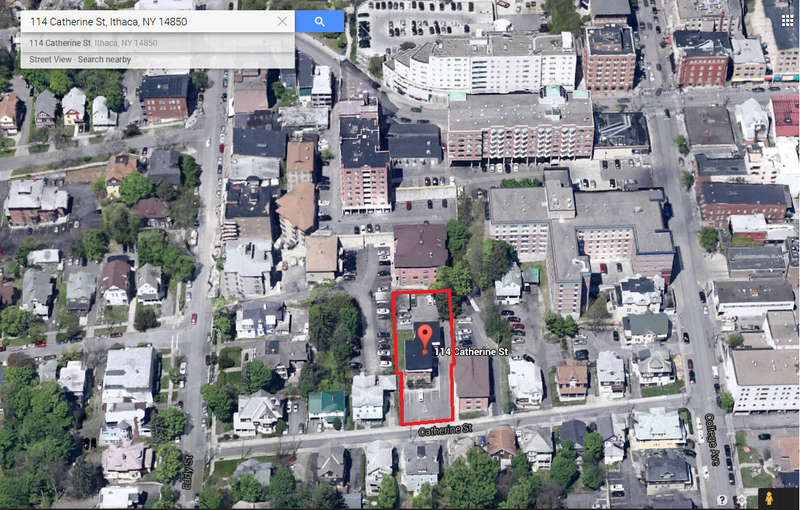 The first is 114 Catherine Street in Collegetown. Currently, 114 Catherine, also known as the “Mission Apartments”, is a 5-unit apartment building last renovated in 1985, assessed at about $590k, and owned by Lambrou Real Estate. 114 Catherine is in a CR-4 zone per the new form guidelines, which allows for a 2-4 floor all-residential building with no off-street parking required. At about 0.27 acres, 114 Catherine is fairly large as Collegetown lots go (much of the current site is used for parking), and given the Lambrous’s multiple building Collegetown Park development that abuts the property to the north, whatever gets proposed here is a likely continuation of that complex. Expect another Sharma Architecture design, as Jagat et al. have been the Lambrous’ go-to architects for the past couple decades. 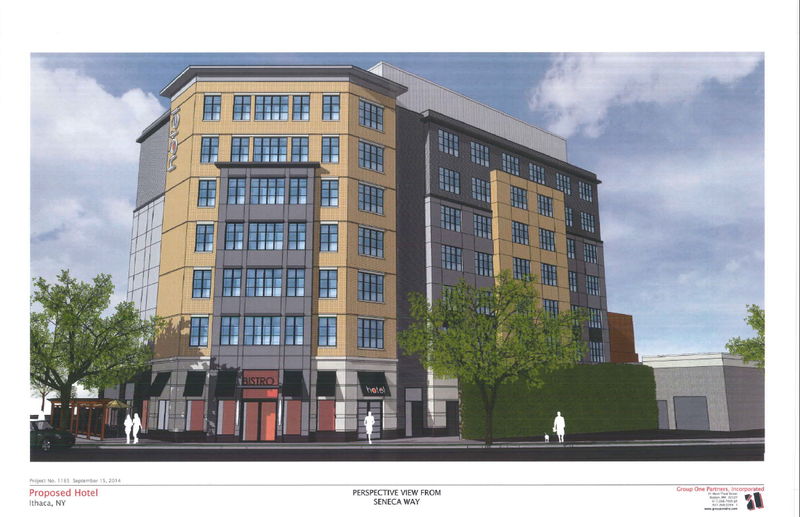 The second is…”Gun Hill Housing Project”…be still my beating heart. I’m cautiously optimistic that Travis Hyde Properties might finally, finally have achieved enough environmental rehabilitation of the once-toxic factory site that construction is now feasible. Fingers crossed, because this has been a huge pockmark on the city since the factory closed in 1986 (and demolished in 2008), has been in development hell for years, and redevelopment would really be a feather in the community’s cap. 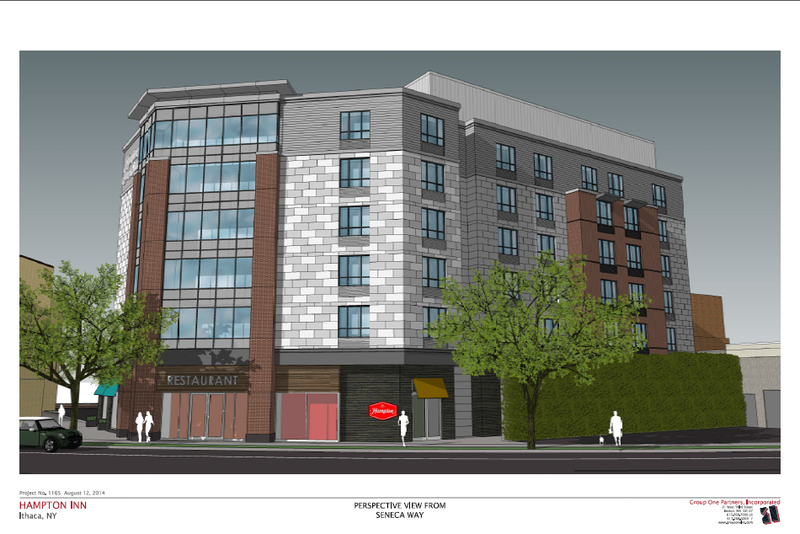 The last I heard, it would be about 45-50 units of non-student oriented condos, and most likely a HOLT Architects design (HOLT being a popular choice for Travis Hyde). I’m sure local environmental activist Walter Hang will be going over the project details with a fine-toothed comb, but like I said, fingers crossed. Well, well, well, I go away for a weekend and end up with some mighty fun news in this edition. 1. 323 Taughannock could be the start of something big on the waterfront development horizon. 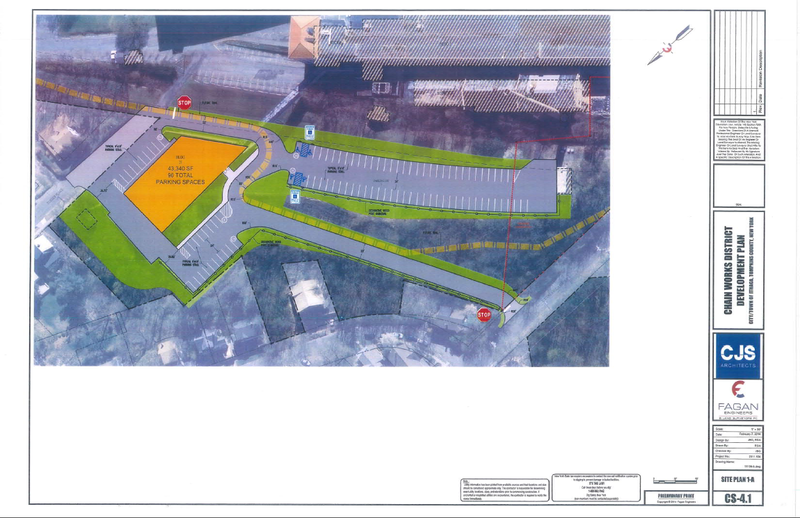 I do wonder if the loss of current parking on the for sale parcel is going to be a problem for the Inlet Isle area. Regardless, it’s good to see positive stuff happening in that end of town. 2. In the old “It is what it is” sentiment, Jason Fane is Jason Fane. I have a feeling the long term benefits will push the abatements through with a passage. 3. I was hoping the Hampton development team would push the hotel to greater heights ( I was pushing for 8 floors, but will be happy with what they get). I guess I’m getting to be all about the densification of downtown. 4. The Mission Apartment project reminds me of my youth. While wandering C-town as a youngster I happened to spot those apartments on Catherine St. They looked rather out of place compared to the rest of the apartment buildings. Of course I had no clue back then as to what Collegetown would eventually become. I’ll be anxious to see the proposal for the lot. 5. As much as I’ve agonized over so many of the city projects being stuck in ruts, I think the Gun Hill project may be the most frustrating (or a close second behind Cayuga Place Residences, but at least that one is underway). Not sure how I feel about the Hampton redesign. The extra height is nice, but the look was more modern (and, with more grey stone, or at least fake-stone before, more consistent with Ithaca’s gorgescapes) before. Now we’ve got some kind of strange postmodernism going on that doesn’t seem to reference anything other than a mishmash of the previous design, vague gestures toward traditional elements, and large windows mimicking loft-style architecture. And yellow is just a horrible color for most buildings generally. I’ll still be happy to have it replace parking lots and add hotel rooms and a restaurant downtown, though. 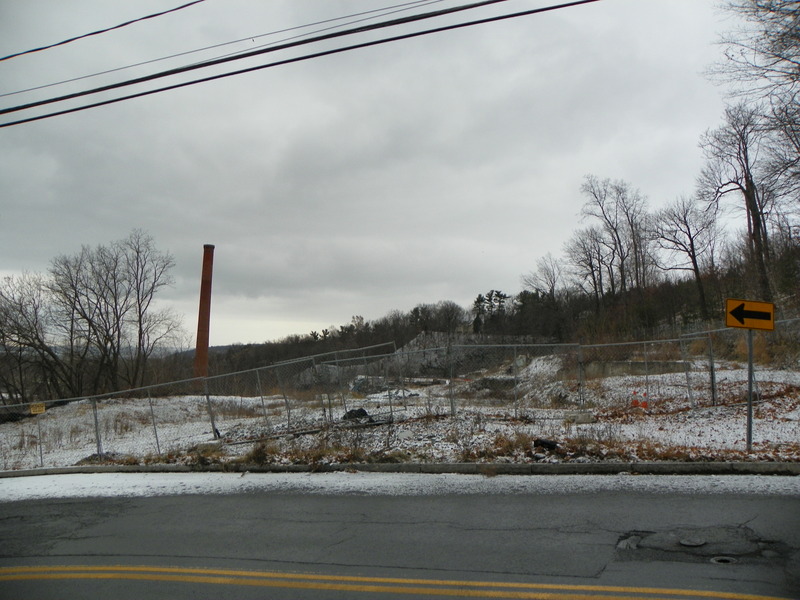 Re: the Gun Hill project – how much has Ithaca spent over the years making this site developable? Given that it’s on a steep slope, not very transit-accessible, and arguably more aesthetically pleasing as part of the natural landscape around Ithaca Falls, I wonder how many of these subsidies could have been better spent subsidizing development downtown – which would have been complete by now! Gun Hill…offhand, I think the remediation cost for both parcels (city and Diehl/Travis) is in the ballpark of several million dollars. It’s a long and complicated story, but the site has been continually cleaned since the early 2000s, only to find more contamination in follow-ups. Regardless of development, the site had to be cleaned because the lead and other toxins were being washed down the hill into the neighborhood below. It really was a huge mess, no one realized how truly bad it was until it was investigated about 15 years ago, and all the cleanups afterward. I’m just glad to see *something* moving forward on the site.